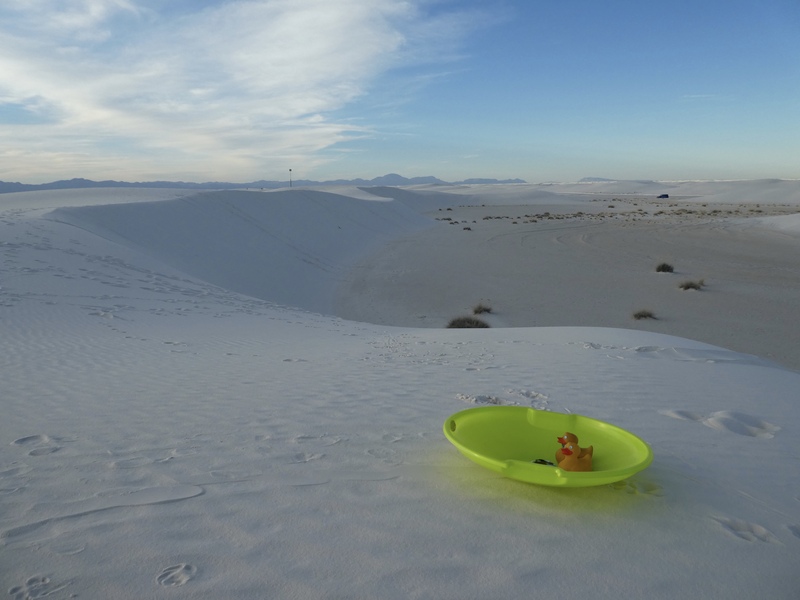 White Sands National Monument near Alamogordo, New Mexico is surrounded by White Sands Missile Range. Sometimes the monument is closed during missile range tests. The monument closed right after we left. 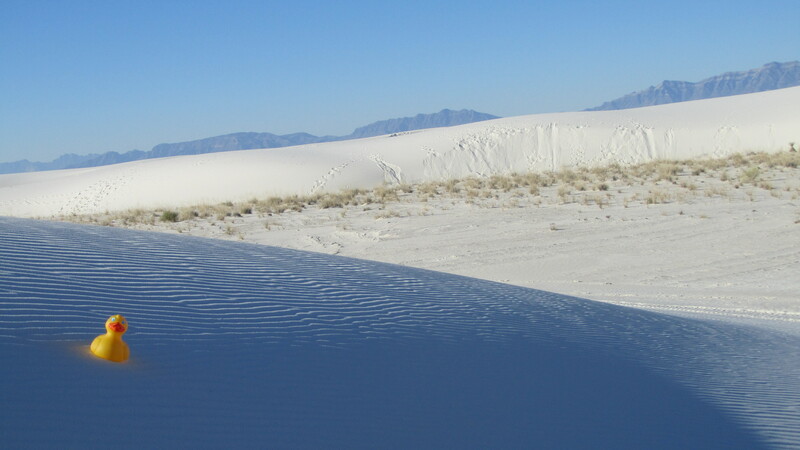 White Sands National Monument has giant sand dunes. 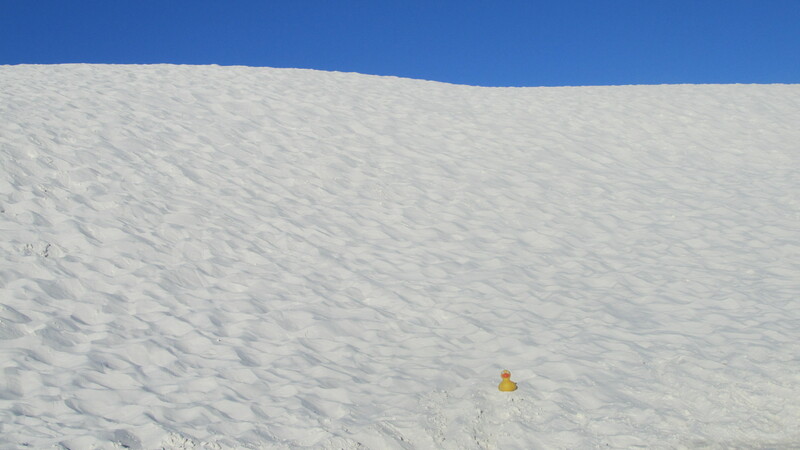 The sand is primarily from gypsum. 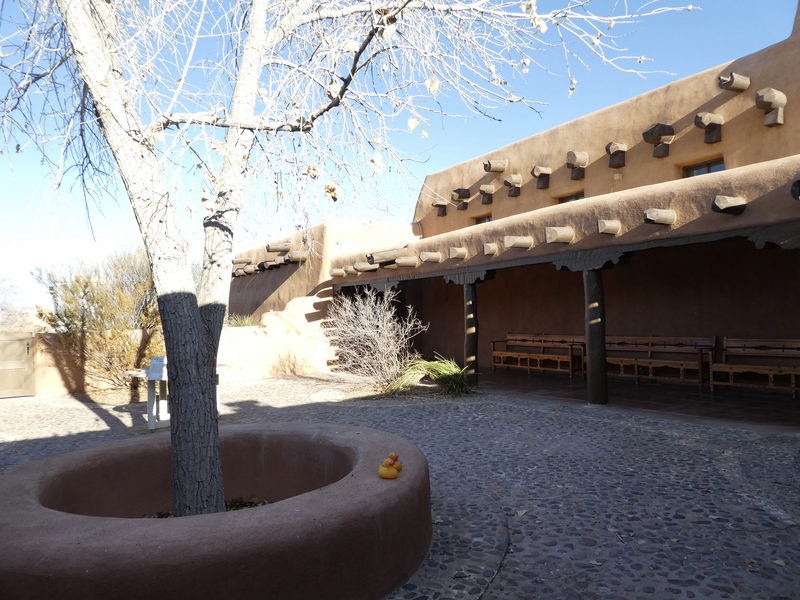 This sand is fairly rare because gypsum dissolves in water, but there is no water here. 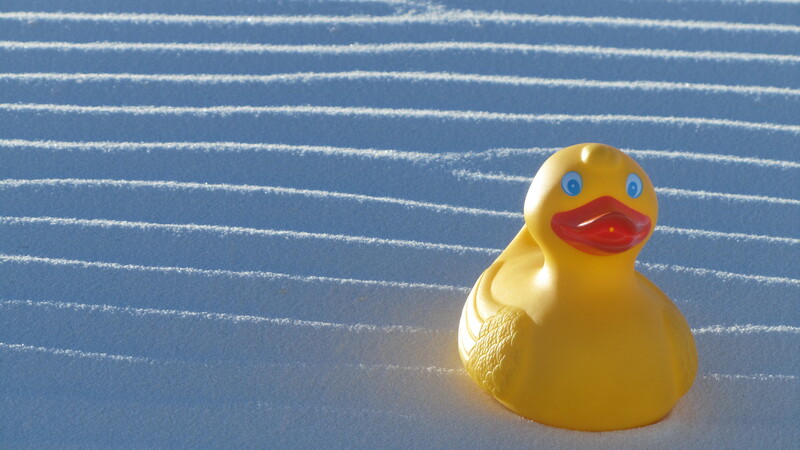 The sand is very white and beautiful. 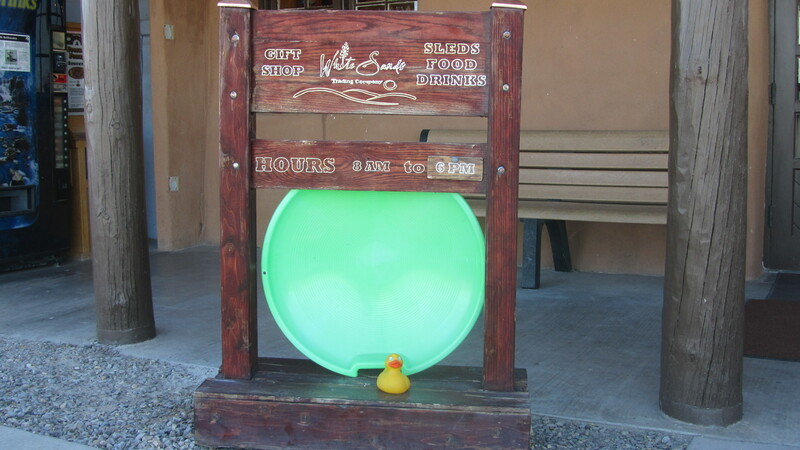 I, Zeb the Duck, rode around the dunes with mom. 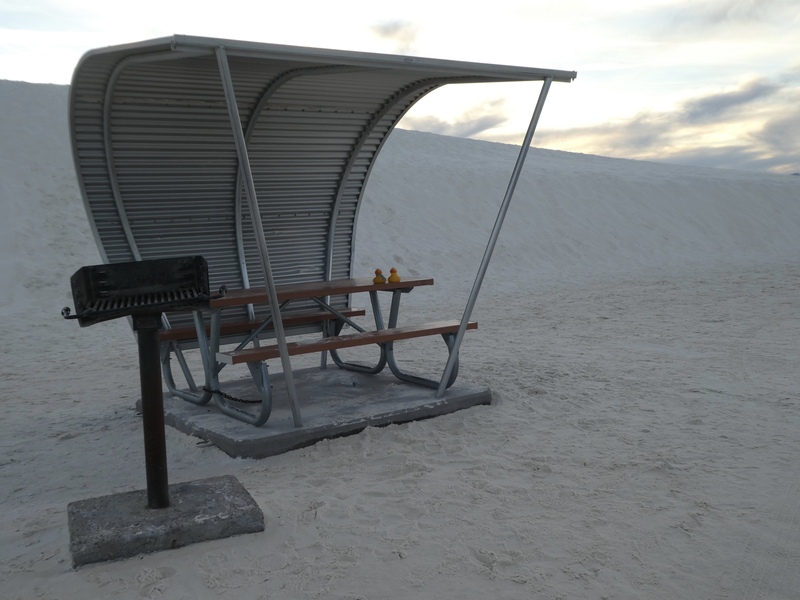 There are picnic tables, and many places to hike and climb the dunes. We walked through the sand and up the hills. It was fun. 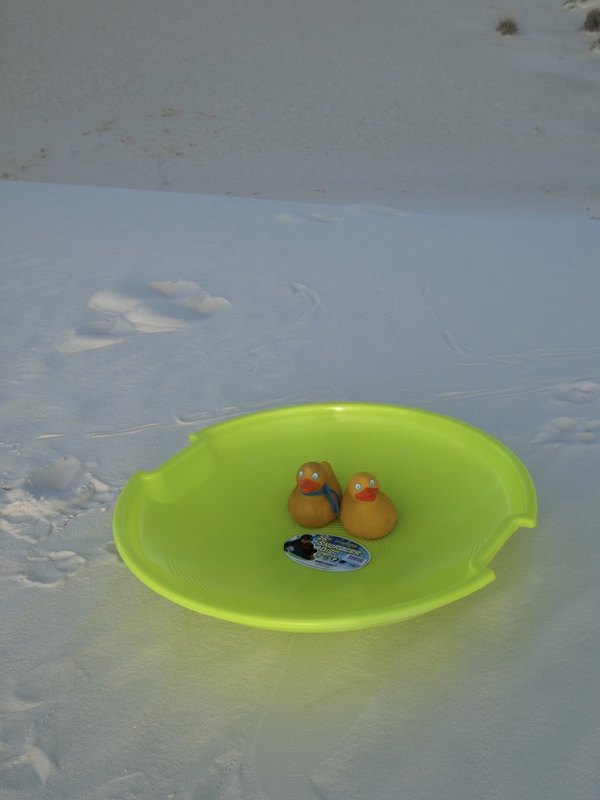 Humans can even get round sleds and ride down the dunes. Oh, to be a human kid. 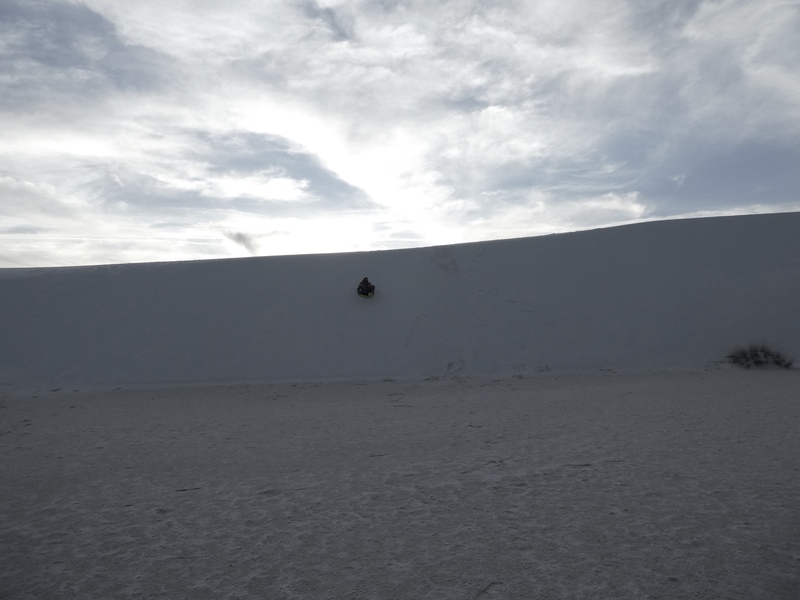 These white sand dunes are great. Mom took some pictures of the sand, most with me in it. This one shows the ripples in the sand from the wind. The hills and edges of the sand dunes do shift from the wind. Several people were climbing sand and taking lots of pictures. There is sand everywhere, but how much sand is really there? If you dig at the shallow part, you will still be digging sand for more than 30 feet. 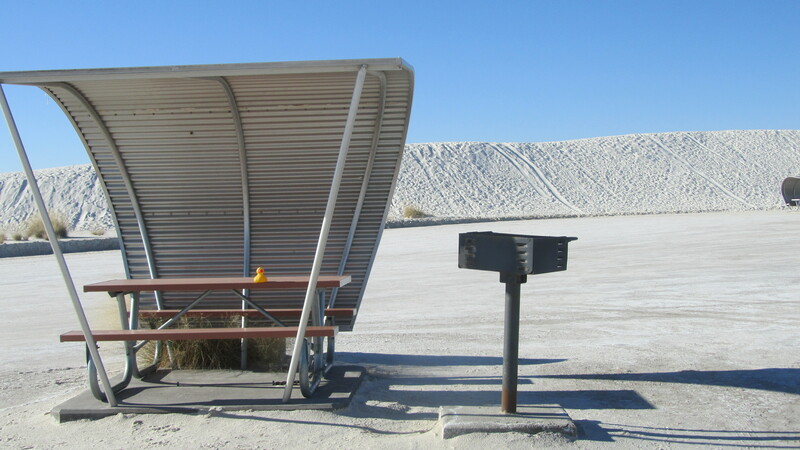 A sign said there is enough sand to fill 45 million boxcars. That makes a train long enough to circle the earth, at the equator, 25 times. That is a lot of sand!! 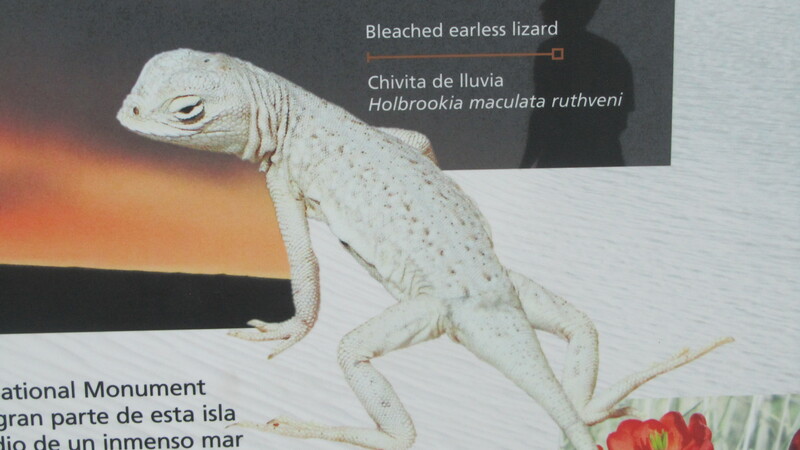 The sign at the visitor’s center said there were bleached earless lizards here. We did not see any, but they may have seen us. 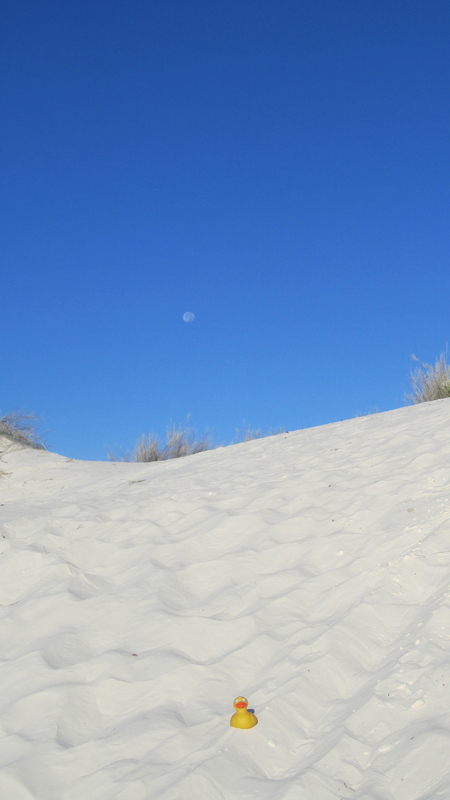 The sand dunes with a moon still visible and, of course, with me, Zeb, are all together in this photo. 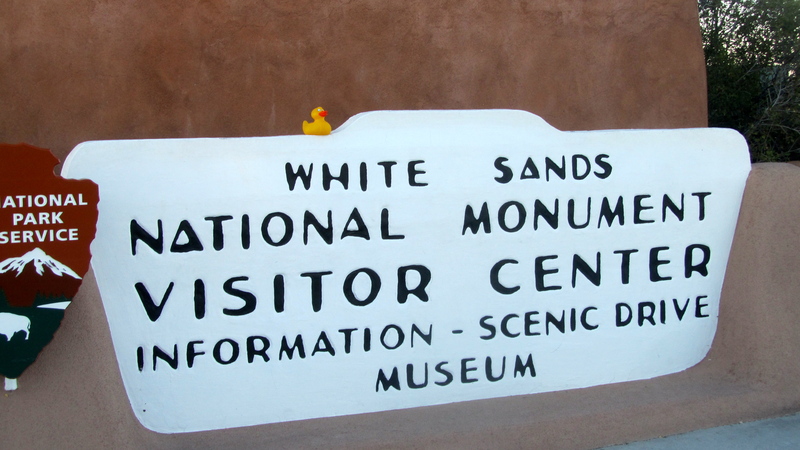 White Sands National Monument in New Mexico is great. I hope you visit it soon. 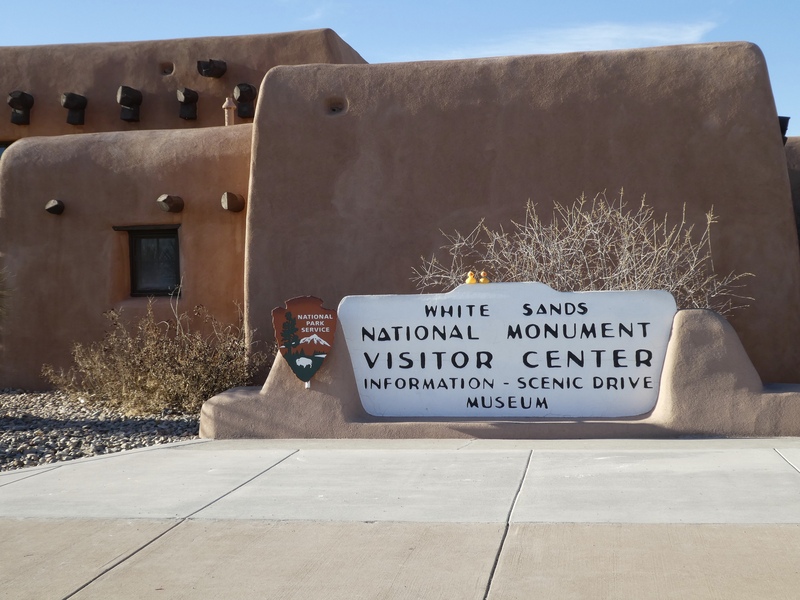 See www.nps.gov/whsa for more information.